Loc Xuan Le, from Vietnam, is an alumnus of the Young Southeast Asian Leaders Initiative (YSEALI). Launched in 2013 by President Barack Obama, YSEALI builds the leadership capabilities of youth in the region and promotes cross-border cooperation to solve regional and global challenges. This past summer, Loc was selected to participate in the YSEALI Alumni Thematic International Exchange Seminar (Alumni TIES) in Bangkok, Thailand. Alumni TIES is funded by the U.S. Department of State’s Bureau of Educational and Cultural Affairs and implemented by World Learning through a cooperative agreement. The program brings alumni of U.S. government-sponsored exchanges together to participate in seminars focused on key regional issues. Participants then have the opportunity to apply for small grants to implement projects that make a positive impact in their community. 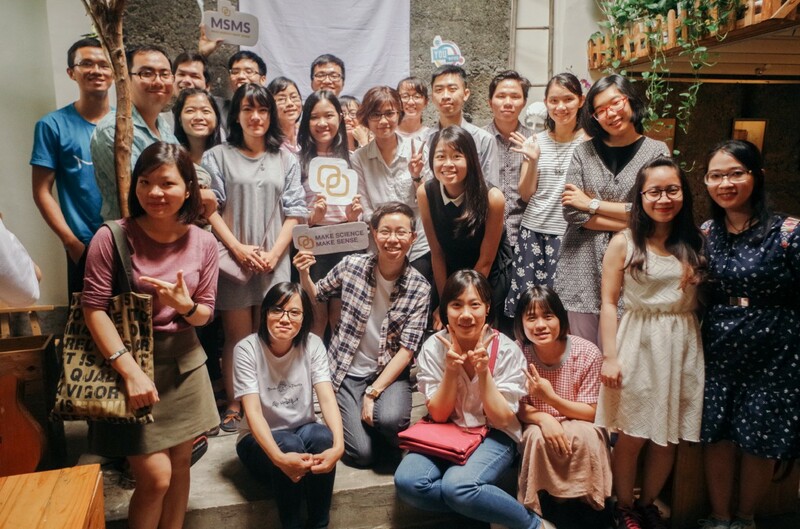 Following the seminar in Bangkok, Loc received one of these grants and launched Make Science Make Sense (MSMS), which aims to nurture a passion for science, technology, engineering, mathematics, and medicine (STEMM) fields in Vietnamese high school and university students. The nonprofit science education project does this by engaging students in non-academic activities that provide simple, interdisciplinary, and practical introductions to the sciences. The project’s long-term vision is to develop into an open communication platform that will make scientific information accessible to the general community. 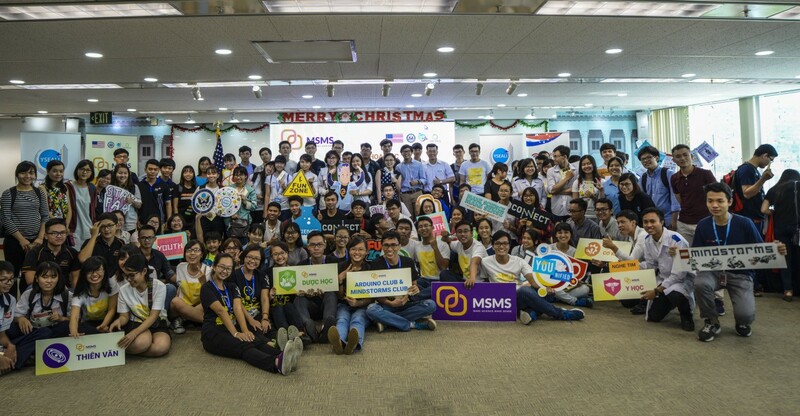 The MSMS team hosted its first major event, a science fair, at the U.S. Consulate in Ho Chi Minh City in December. The fair was part of YSEALI YOUnified, a day of community service for YSEALI members from across the region in celebration of the initiative’s third anniversary. The fair attracted nearly 300 local high school and university students from Ho Chi Minh City who had the opportunity to engage with speakers from STEMM fields including medicine, robotics, and astronomy, and compete for prizes in science quizzes. These activities inspired 18 students to join the group, which now has 53 members across three cities in Vietnam. Some participants commented that they were interested in the sciences, but given the opportunity to learn about studying or working in STEMM fields. · Virtual Tutoring — Senior students mentor and tutor junior students in the sciences via an online platform. With help from their mentors, the junior students create social media content, including infographics, videos, or cartoons on scientific topics, which are shared on the MSMS website and Facebook page. · Coffee Shares — University Students studying a variety of science-related majors come together to discuss interdisciplinary scientific topics and concepts over coffee. · Science Camps — High school students have the opportunity to explore different university science majors by participating in science experiments, group projects, and trial lectures. While Loc and the MSMS team only launched these activities recently, they are already discussing new ways to expand their programming and help inspire the next generation of Vietnamese youth to pursue education and career opportunities in the sciences. Read about other Alumni TIES small grant recipients’ projects at https://alumnities.tumblr.com/.